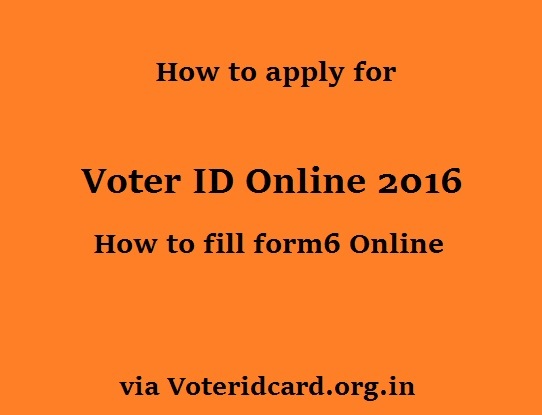 How to Check Voter ID Card Status Online 2019? please let me know the electoral roles where I have to caste my vote, poling station, address, constituency name etc. Now I am assigned election duty. Hence, I wish to fill the particulars in the format for postal ballot. worest manegement in idian elaction comisson they are cometed sum political parties.in indan contution it is inuduwal .so they are bheved to pupeol in dected type. what are giveng right to indian elaction comisson.pupeol put vote balete or elactranic misson. it is selactin pupeol right. on this issue elaction comisson is acting over action. I have applied for Voter ID for my self (PBV Ramana, KV Jayalakshmi and PB Janaki) from the address 4-1902/3 Durganagar colony, Chittoor 517501. Ref: EFP 221211694, F665569078807, F6 18923951582 and EBD 770749193. After expressing through grievance , Local MRO people called me. I am v.suresh. I’m applying voter id card thought a form6 and i got reference no OKT574746954.and I’m check voter id status, the total process successfully completed but I can’t receive voter card. In most of mee-seva centres in andhra pradesh, especially in Visakhapatnam, new voter Identity cards are not issuing due to lack of logo(emblem); i.e., hologram. Some Centres Managers are telling that they are not having lamination machines or no printers or printers not working. The AP Government is also not taking any steps to improve it. Please instruct to all the District Collectors to take necessary steps for issuing new Voter Id cards. Further I wish to tell you, in one house, if there are two or three voters, only one name can be identified in the list. Other names are deleted or with old address only. Kindly look into this matter Sir! M V Narasimha Murty, Senior Journalist. MY NAME TARUN KUMAR PRAJAPATI .VOTER ID.NO. ZJY2106615.CHHATTISGARH DIST. DURG. VIDHAN SABHA VAISHALI NAGAR WARD-10 ANUBHAG-125 VOTER LIST JAN 2018 ME NAME NOT INCLUTED. SO PL. NAME INCLUDED. I have lost my voter id and id number ,I want to get my voter id number, HOW? 014cc5df025285d74 this my reference ID for new applicant of voter id. i have been applied in April 17 but still i did not get my voter id. pls check and confirm status..every day i’m checking status with NVSP but its showing as your application is under process since 6 month. I applied for changing my name by filled up form No. 8 and submitted on 23-11-2017 and given/ provide ID No. OJC332106746 and after checking status referred/ showed that submitted on 23-11-2017 and then …………BLO………..Field verification…………Accepted/Rejected but my question when I will receive my corrected Voter ID Card ? and corrected in my concerned voterlist, please inform me by my contact No. 9402022022/9678142992. Hi, I applied for my voter id correction update of my address on 24november 2016 on nvsp site and after updating details i receive the reference id 15b9184547e908ec. Thus i track several times butnot getting any update result. Kindly Help me by letting me know the status of my voter id correction that by what time i will receive it. I have requested for name and address change in the voter id in on 29th sept, 2016. when I see the status online it is still application under review. can you please let me know how much time it will take to process the voter id. Sir, I made some corrections in my voter id card using online services but I lost my voter id application number. Can you help me out on this issue ? its easy. you will type your reg. no at following url. i want to know my voter ID card status.